The proposed ordinance to ban single-use plastic checkout bags in Middletown has gathered support. Click on the “Continue Reading” link at the bottom of this post for Facts and a Summary of the draft ordinance, prepared and distributed by the Middletown Garden Club. Here’s what you can do to help. The draft ordinance is scheduled to be on the agenda of the Public Works Commission on Wednesday, March 13, 6:30 p.m. in Room 208 of City Hall. Early in the meeting, there will be a “public comment” period for residents to voice support or opposition to the ordinance. On the following night, March 14, 6:30 p.m., the ordinance will be on the agenda of the General Counsel Commission in the same room. Again, there will be an opportunity for public comment. If all goes well at these two commission meetings, the ordinance will be before the Common Council on Monday, April 1, at 7 p.m. in the Council Chambers. Members of the Common Council may be reached by email (individually, or through one message to the whole Council) through this page on the City’s new website. 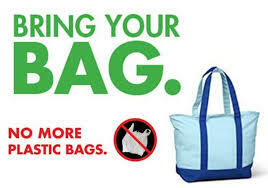 PURPOSE: To encourage the use of reusable bags and ban single use plastic bags. ACCEPTABLE BAGS: Recyclable paper bags, reusable bags, laundry and dry cleaner bags, newspaper bags, produce bags, product bags or bags sold in packages containing multiple bags. BAN: Single use plastic checkout bags. TYPES OF STORES AFFECTED: All retail establishments such as retail stores, restaurants, pharmacies, convenience and grocery stores, liquor stores, seasonal and temporary businesses, food trucks and household good stores. Exempt: Charities and non profits that distribute food, clothing, or other household items. STORE RESPONSIBILITY: Stores must provide an acceptable bag; Stores must charge at $.10 /bag. Charge must be itemized. Signs must be posted. EXEMPTION: SNAP and WIC customers exempt.